Once we demonstrate how efficient you’ll be with our medical inventory management software, you’ll never look at device data the same way again. 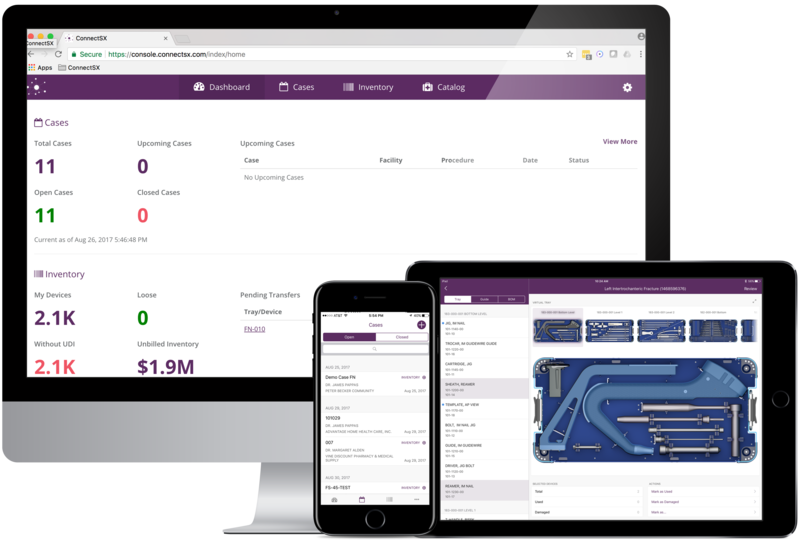 When you schedule a personalized demo of the ConnectSx platform with one of our specialists, we’ll give you a sneak peek into the full capabilities of our medical inventory management software, tailored to address your specific challenges. We’ll also discuss subscription options and pricing packages to fit your organization’s unique needs – adding unmatched value that can save you time, money, and stress in the long-run. To experience these benefits for yourself, enter your info in the form below and we’ll get in touch soon to schedule a demo that will transform the way you manage medical device data. Discover how ConnectSx vTrakr can simplify medical inventory management. Download our free medical inventory software to preview vTrakr’s capabilities.